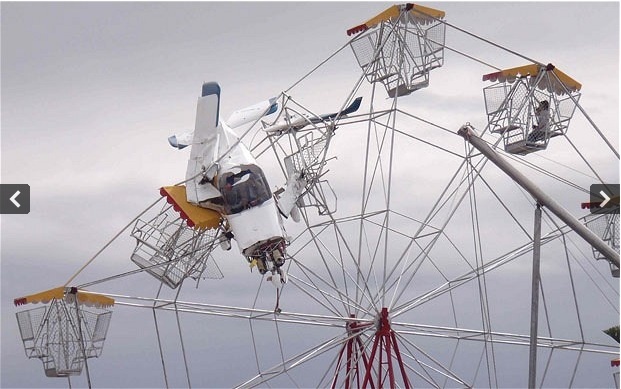 A ferris wheel near a runway. Seems like a bad idea. Oh wait, it was a bad idea..
Fail....Glad nobody was seriously hurt! While surfing the forum I found this that sneaked past me. Yikes! Can you imagine the horror for those on the wheel at the time? I wonder if there was some lateral tipage or swaying after impact.